Did Thorn Birds Teach Me All The Wrong Ideas About Love? For the few people that have been one of my roommates, they all have one thing in common – wondering why I was so obsessed with The Thorn Birds? 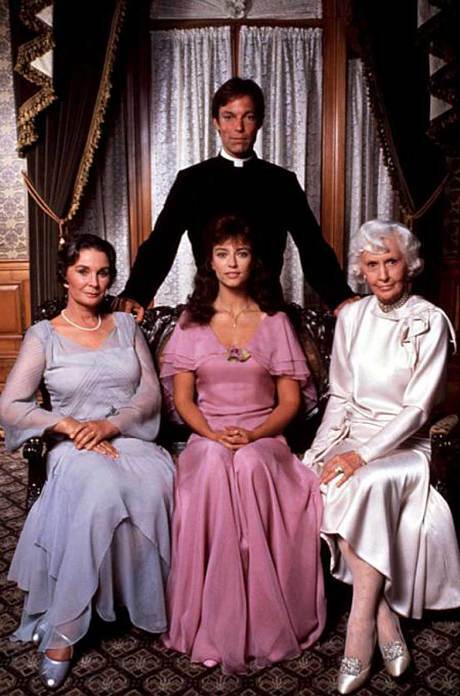 Why do I even know about the Thorn Birds is a good start, given it aired when I was not even 2 years old in 1983? I guess you can thank my mom for that and her love of all things TV. And Richard Chamberlain. How can I describe 10 hours of Thorn Birds to you in a few sentences? The tagline says it all, “Love. Unattainable. Forbidden. Forever”. Can you think of anything more glorious for a 14 year old girl (or 37 year old woman) to be obsessed with? There’s a unashamedly handsome priest named Ralph, a beautiful young girl, an Australian plantation and enough secrets to fill the wool shed. Spanning 60 years, The Thorn Birds tells the story of several generations of Cleary women who seem to all have the same problem – they love men that are too ambitious for their own good. As the main character Meggie says, “I cried for him all my life, like a child crying for the moon.” I don’t even know what that means or why I would cry for the moon, but my gosh, it sounds romantic. Now, add into things that this week in between Thorn Birds viewings I also watched the latest season of Big Mouth, and it all starts to make sense why a 14 year old Marie would love this forbidden story so much. One of the big themes in Big Mouth is how puberty is so isolating and divides us from the people we care about (friends, both female and male, parents and crazy gym teachers). You know what helps you feel less alone? Seeing someone else suffer. Enter the Thorn Birds. Every character suffers in this mini-series. Literally EVERY CHARACTER. Mary Carson, the matriarch of the family wills herself to die on cue just so she can exact the perfect revenge on her unrequited love, Father Ralph. Meggie gets laid only like 5 times in the whole 10 hours but has 2 kids she has to raise by herself, plus live with her ornery old mother forever. The brothers never even get a wife, they just “work and obey”. One dies in jail, one on the range, one with croup or some other condition that only kills babies in 1912. Barely anyone gets out alive! Even the most holy character ends up dead, trying to save a stranger’s life, of course. The main theme of Thorn Birds is that love is painful. Sometimes its a sweet pain, but mostly its just plain old torture. And yet, we continue to press our breast to the thorn trying to achieve that love, even though we know it might kill us. Yes I swear, this is an actual story from the book. So naturally, this is great viewing when you’re going through puberty and hormonal, horny and angry all the time – you know, being a teenager. I have most of the 10 hours memorized, which is not something I’m proud of, but it might be good in the “special skills” section on my resumé. I’m also sure this would be filed under “guilty pleasure” in the realm of the TV miniseries, despite being the 2nd most watched mini-series of all time. Roots, it’s not. And usually I’m all for a guilty pleasure, because life is tough enough, you go Netflix and Chill with your Jane the Virgin on a Friday night after your kids go to sleep, Glen Coco. What was different this time about watching Thorn Birds was the juxtaposition of Big Mouth along side it. 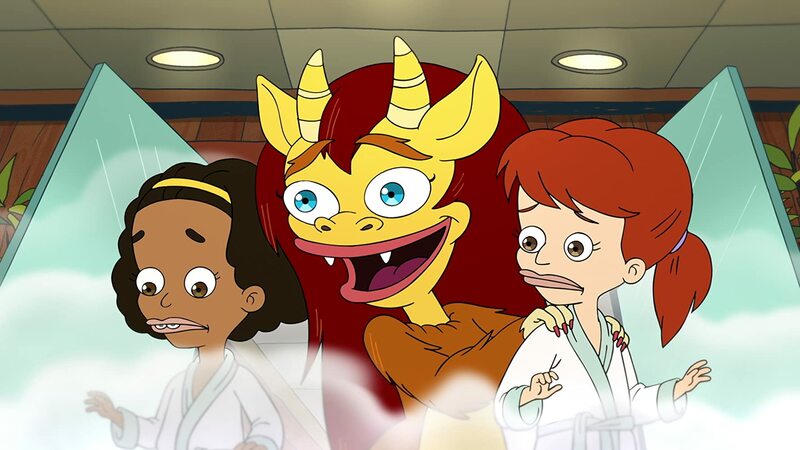 I was Jessi from Big Mouth when I was a tween/teen. Divorced parents, depressed, full of shame and trying to find where I fit in. And how I coped was by watching stories like Gone With The Wind, Thorn Birds, It’s a Wonderful Life, Dirty Dancing and Titanic. So many stories about disappointed love and a life not lived. The more painful, the better. I mean why can’t Jack live at the end of Titanic, it’s just not fair!! And well, yeah, I do. Reality has home work and laundry and toddlers who have meltdowns over Barbie shoes. Love in a movie is a great distraction and there’s nothing guilty about that pleasure.